Fourth-generation chef and restaurateur Christopher Czarnecki announces the opening of his newest culinary investment in the heart of Oregon’s Willamette Valley Wine Country. This opening marks the second restaurant location for the Czarnecki Family in Dayton. The Barlow Room... gives us the opportunity to cook what we love and provide a comfortable environment for both locals and visitors alike. The Czarnecki Family today announced the Grand Opening of their second restaurant, located in downtown Dayton, Oregon at 306 Ferry Street, near the junction with SE Dayton-Salem Highway 221. The 70-seat restaurant reflects the an historic yet contemporary feel, with comfortable lounge seating, a vintage mahogany bar, and rustic yet refined décor. The Barlow Room is located just three blocks from the Czarnecki’s world-renowned, fine dining restaurant, the Joel Palmer House. The newly renovated restaurant is open for lunch and dinner, Wednesday through Sunday from 11am to close. "The Barlow Room is a perfect complement to what we currently offer at the Joel Palmer House and gives us the opportunity to cook what we love and provide a comfortable environment for both locals and visitors alike," says Executive Chef Czarnecki. "The Barlow Room will still deliver on our high quality standards, but at a more modest price point." The Barlow Room, located on a historic block across the street from Dayton's Courthouse Square Park, features exposed brick walls, historic photos of the local Dayton area, and giant picture-window views of the downtown park. Featuring a mix of new materials and vintage finds, The Barlow Room is a family-friendly space with a historic sensibility, vintage-inspired light fixtures, and freshly painted interior and exterior. 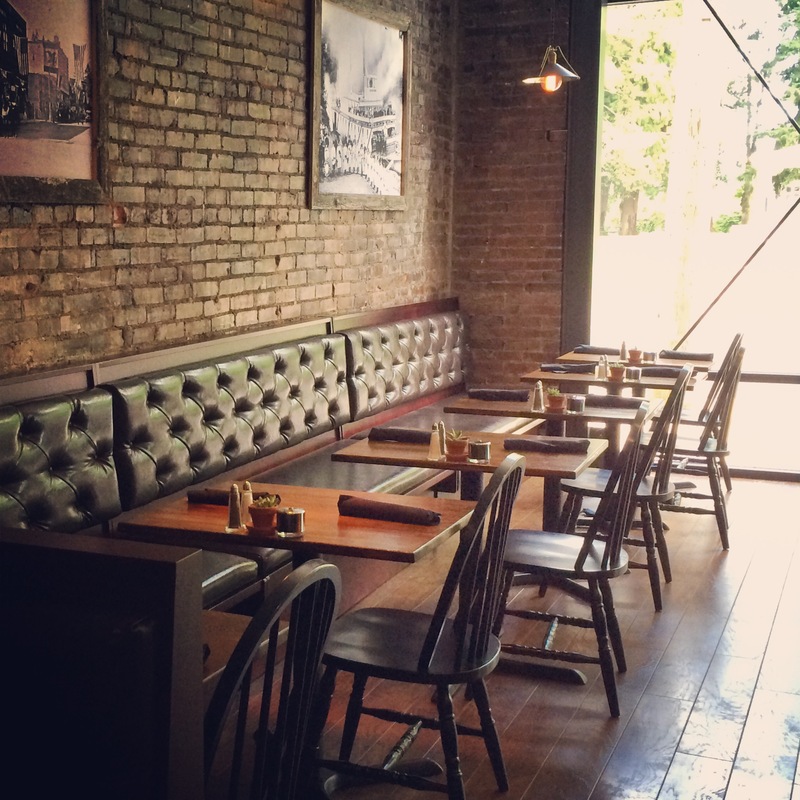 The restaurant offers a mix of dining options, including artisanal wood tables, cozy banquet seating, an antique communal table, and comfortable leather-seated wooden booths. A handsome, old mahogany bar faces the dining room creating an inviting setting to enjoy a cocktail like the Dayton Tea, a cold beer or cider on draught, or one of the food-friendly wines (20+ by the bottle, 17+ by the glass). Take-out ordering is available as well as off-site catering for local events. The Czarnecki Family remains committed to sourcing meat and produce from the surrounding Yamhill Valley and are excited to offer creative dishes focused on local flavors. Chef Jerrod Smith leads the kitchen with a menu that features fresh, seasonal ingredients and the restaurant’s signature menu items such as mouthwatering steak bites with house-made steak sauce and fried onions, tasty Fried Dahl rounds with a Cilantro-Yogurt Sauce, and a Grilled Veggie Sandwich with fresh-from-the-farm produce, toasted to perfection. Open five days a week, The Barlow Room is located in the heart of Oregon’s Willamette Valley wine country in downtown Dayton at 306 Ferry Street (at SE Dayton-Salem Highway 221). The restaurant is open for Lunch and Dinner from 11am to close. Major credit cards are accepted. Takeout is also available. Call 503-714-4328 for more information, or visit http://www.thebarlowroom.com. For updates on specials and events, Like The Barlow Room on Facebook or follow on Twitter at @TheBarlowRoom. Gift Certificates are available and The Barlow Room also offers off-site catering services for local events. 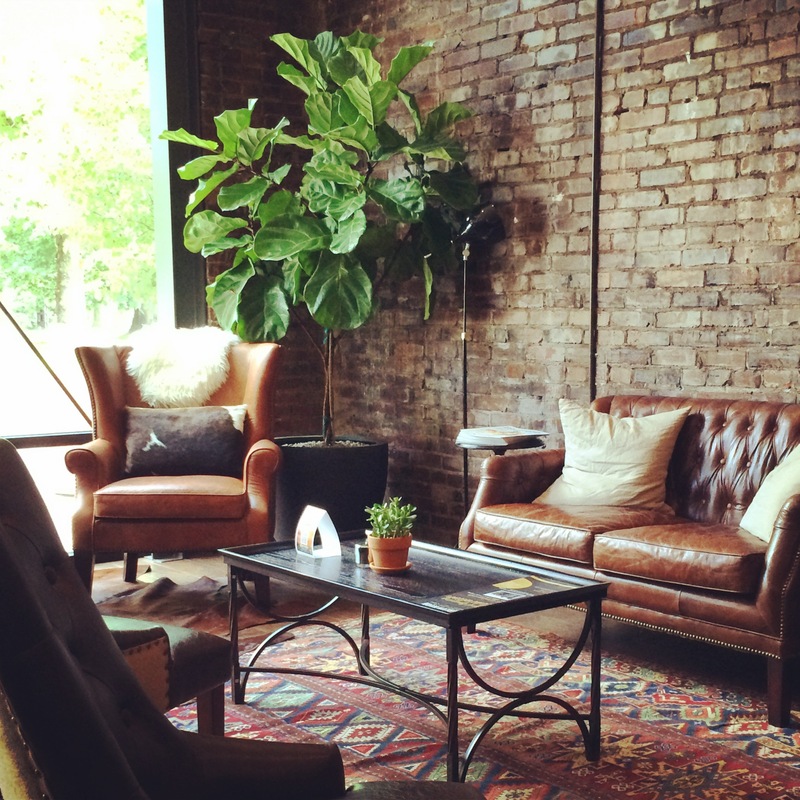 The Barlow Room offers comfortable lounge seating. 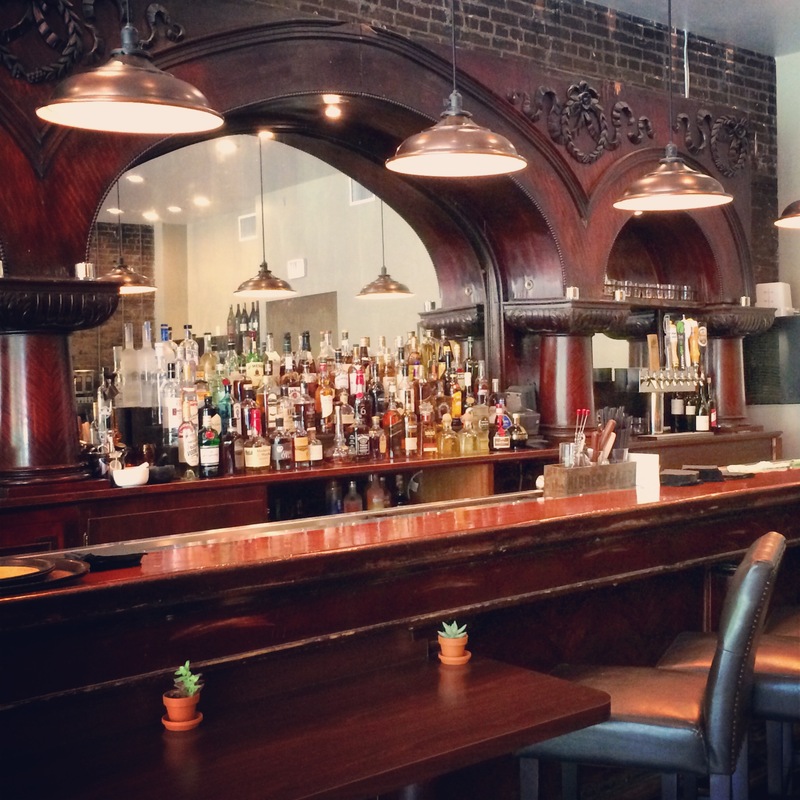 A Vintage Mahogany Bar is the Centerpiece at The Barlow Room. Cozy Banquette Seating with a View of the Park at The Barlow Room. 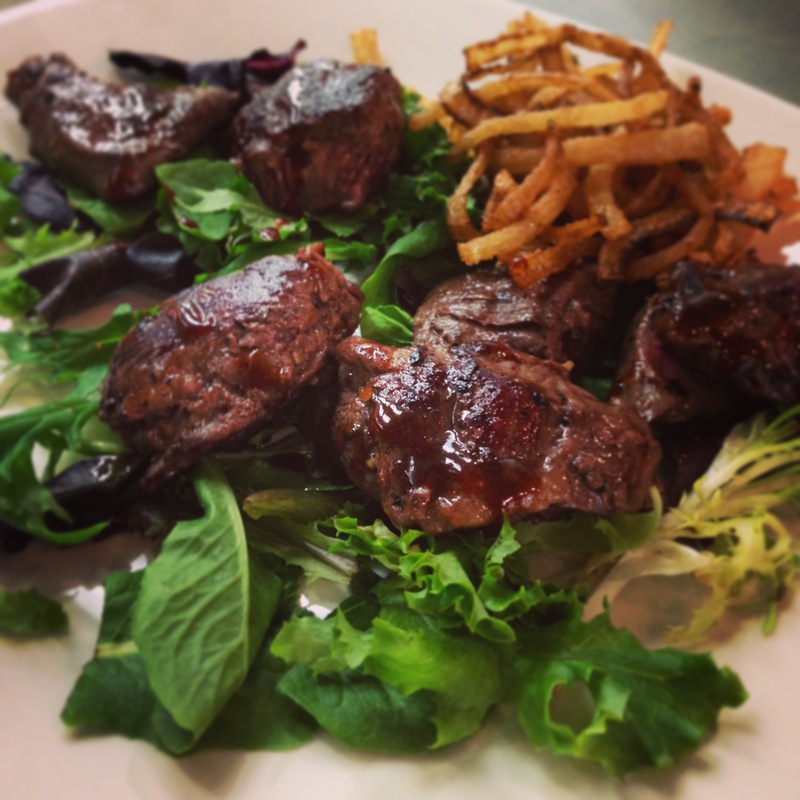 A Signature Item at The Barlow Room: Steak Bites with Fried Onions.